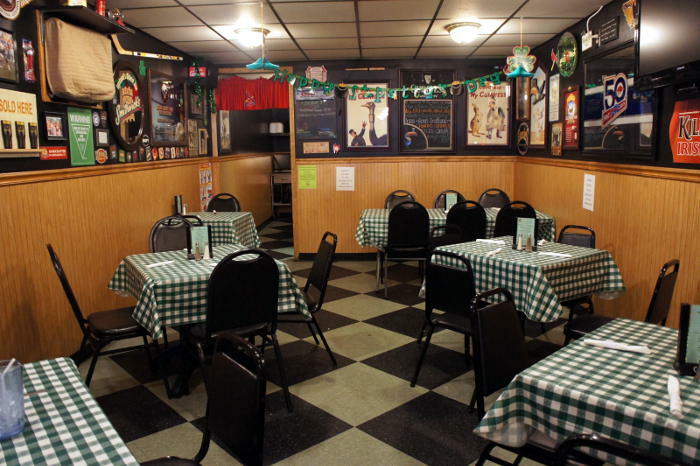 Conlon’s is nothing if not a neighborhood favorite. How do we know this? We recently posted a review of the Blackthorn, and while it got tons of South Buffalo love, we also received countless recommendations for Conlon’s. So here we are, full of Irish pub food and better for it – all thanks to you. Conlon’s opened in 2010 and has made a name for itself thanks to good ol’ fashioned food, drink and fun. 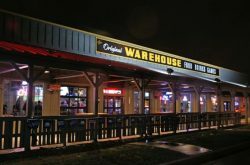 They’re well known around South Buffalo and beyond for more than just the friendly, Irish pub atmosphere. 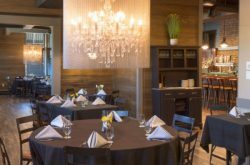 Ask around and you’ll find recommendations for just about every dish on the menu from the Reuben and the mac and cheese to the Shepard’s Pie. On top of authentic Irish fare, they are one of the few places in WNY that has Mug Club Night leading a weekly lineup of Trivia Night, Wing Night, “Mercy Night” and Happy Hour. Are you sold yet? Thought so. Read on if you’re no fun and need more convincing. 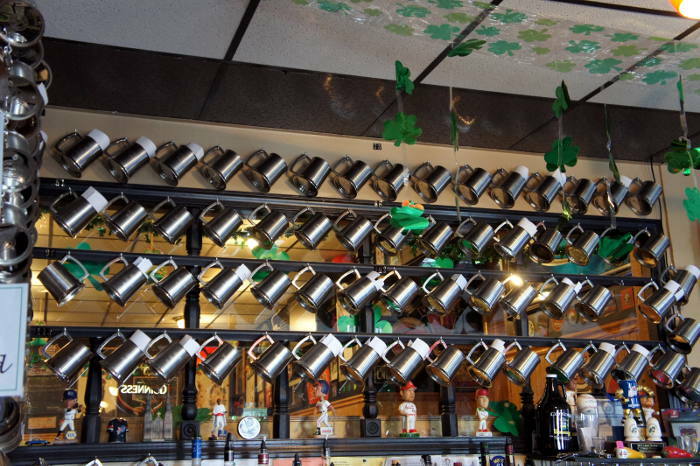 If you’re looking for a good time, cheerful conversation, drinking buddies, specials like house-smoked pastrami and other super satisfying pub food, a trip to Conlon’s is like the pot of gold at the end of a rainbow. By no means is this a snazzy restaurant with fancy tablecloths and nice chairs. Think small pub with an equally small dining area behind the bar with 7 tables or so. Be warned that once you’re there, you probably won’t want to leave. 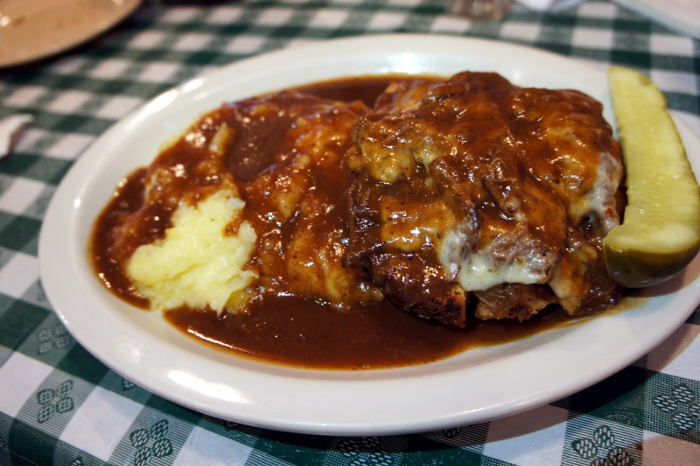 As you might have guessed, the menu at Conlon’s is a stacked list of hearty comfort food. It starts with appetizers ($4.99 – 15.99) like Buffalo Shrimp and Cheese Stuffed Mushrooms. For a neighborhood favorite try an order of the Toasted Ravioli. Soups, salads and combos ($3 – 8.99) round out the lighter fare with Beer Cheese Soup, Mama Conlon’s Spinach Salad, Conlon’s Irish “Nachos” Supreme and Conlon’s Loaded Potato. 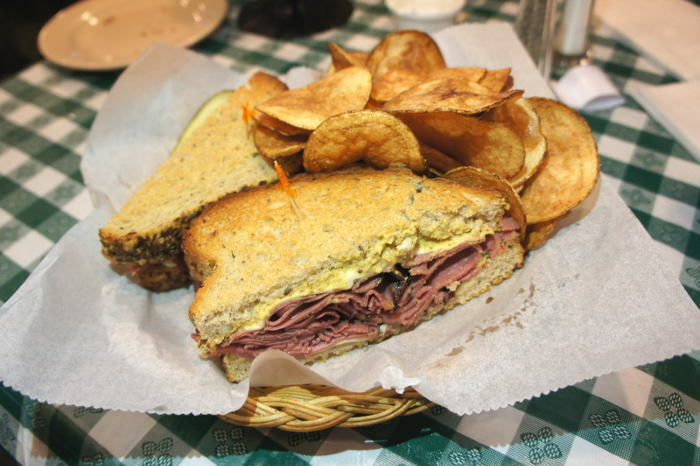 Then they have a sandwich section ($6.99 – 10.00) composed of a Reuben, hot cheddar corned beef and the like. A full list of sides including hand-cut sweet potato fries with honey, homemade potato chips, slaw, mac salad and fried okra are available for $2.49. 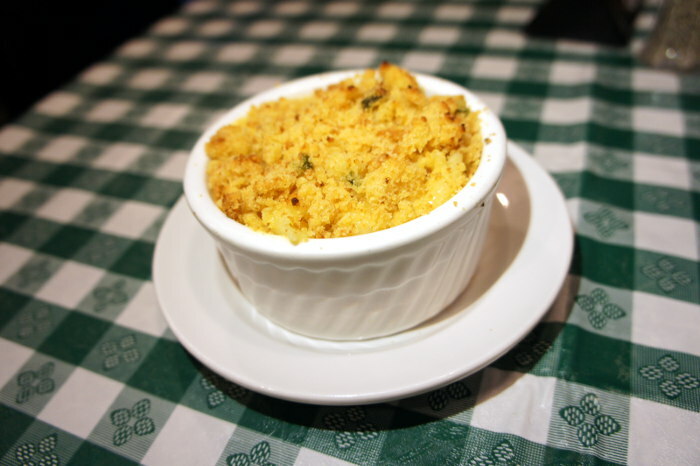 For entrees ($9.99 – 15.99), Conlon’s offers a Basket o’ Ribs, Lemon Pepper Pasta, Shepherd’s Pie, Fish ‘n Chips and more. Did I mention you’re going to have some tough decisions to make? We ventured out for lunch at Conlon’s mid-week in February. Aside from one other table and a few patrons at the bar, we had the place to ourselves which I’m sure is a rarity after 5pm. 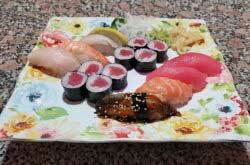 Our server was friendly, knowledgeable about the food and very attentive. Our food arrived lickidy split. 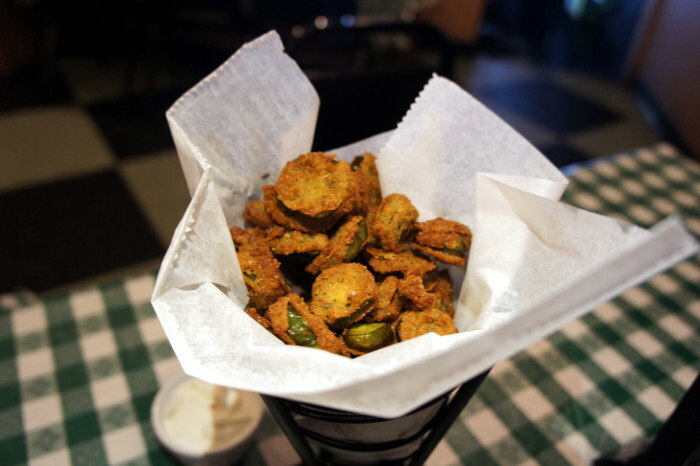 Deep Fried Jalapeños served with sour cream, $4.99. File this one under the category “weird but good”. For whatever reason, I can’t say no to jalapeños, and it looks like the Conlons feel the same. These are bite sized slices of jalapeño, deep fried and and served with a much needed cool side of sour cream. We loved them, but the batch proved stronger than our mouths in the end. Open-faced Pot Roast Sandwich – Tender pot roast pulled on top of their famous jalapeño cornbread and topped with pepper jack cheese. Served with mashed potatoes and smothered in homemade gravy, $10.99. Not quite as good as some I’ve had (the former McKenzie’s Bar and Grill comes to mind), but still worthy at the top of the list. There was meat, there was potato (suspiciously smooth I might add), there was delicious house made gravy. But what stood out in my mind was the thick slice of cornbread hoisting up the pot roast contents. It took the open face sandwich from rich to decadent in a matter of seconds. A game changer, if you will. I’d order this again because of it. Side of Not Joe Mama’s Mac ‘n Cheese, $3.99. A quick mac and cheese poll on our Facebook page led us to Conlon’s Not Joe Mama’s Mac ‘n Cheese. Let me tell you – bulls eye! This stuff is melt in your mouth, close your eyes and nod your head good. There’s something unique about it. A deep, porky flavor graces the tongue and mingles with the gritty top layer of what I can only assume is toasted, jalapeño cornbread crumbage. The meal would have been a win with this alone. As luck would have it, this was the special of the day. A sandwich stacked with meat smoked and sliced in house! While I prefer my pastrami on raw rye, this sandwich was absolutely something to write home about. 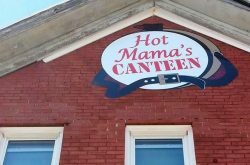 It was so “home cooked” that I was a little suspicious. A quick chat with our server cleared that right up though and now I have a new favorite place for pastrami. We didn’t add dessert to our already glutinous meal, but I’d regret not mentioning their Spicy Sundae ($4) made of vanilla ice cream, dark chocolate shavings and deep-fried jalapeños. Told ya they like jalapeños. Their second and final option is a Gooey Butter Cake. Just let that sink into your soul.